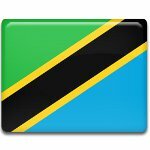 People of Tanzania annually celebrate Independence Day on December 9. This holiday is also known as Republic Day. The celebration is dedicated to the declaration of independence of Tanganyika from Great Britain in 1961 and creation of republic in 1962. The colonial period of Tanzania (then Tanganyika) started in 1498, when the Portuguese visited the Tanzanian coast and eventually succeeded in controlling most of its territory. In 1699 the Portuguese were ousted from the territory of Tanganyika by Omani Arabs. Imperial Germany gained control of Tanganyika in the late 19th century, but after World War I its territory became the British mandate, designated by the League of Nations. The process of decolonization started after the end of World War II, when Tanganyika became a United Nations trust territory under British control. In 1954 Tanzanian politician Julius Nyerere formed the Tanganyika African National Union, the leading force in the struggle for sovereignty of the state. Tanganyika declared full independence from Great Britain on December 9, 1961. A year after, on December 9, 1962 the Republic of Tanganyika was created. Celebration of Independence Day and Republic Day usually includes colorful parades and festivals, folk concerts. This is a perfect day for the rich family dinner.